This sculpture was created as part of the Linfield College course Introduction to Studio, taught by Totem Shriver. This sculpture is progressively post-modern. Photograph courtesy of Amanda Holtby '11. Bailey, William, "6th Side" (2011). 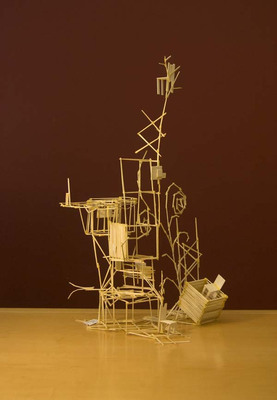 Introduction to Studio Toothpick Sculptures. Image. Submission 12.